First he brought us Pizzaiola, next he brought us Boot and Shoe Service, and then Charlie Hallowell brought Penrose to Oakland. The latter restaurant and the non pizza restaurant is where I celebrated my birthday on Tuesday, November 4, also Election Day. I spent the day in Sonoma and got home in time to vote and then have dinner with my BFF. 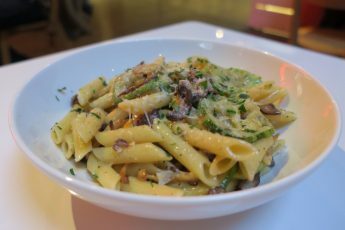 We walked a short distance from her place to Penrose located on Grand Avenue. I had been looking forward to trying this restaurant and as I walked in, I became more excited. The combination of brick walls and wood furniture in the open space provided a warm inviting environment. For a Tuesday night, Penrose was bustling. 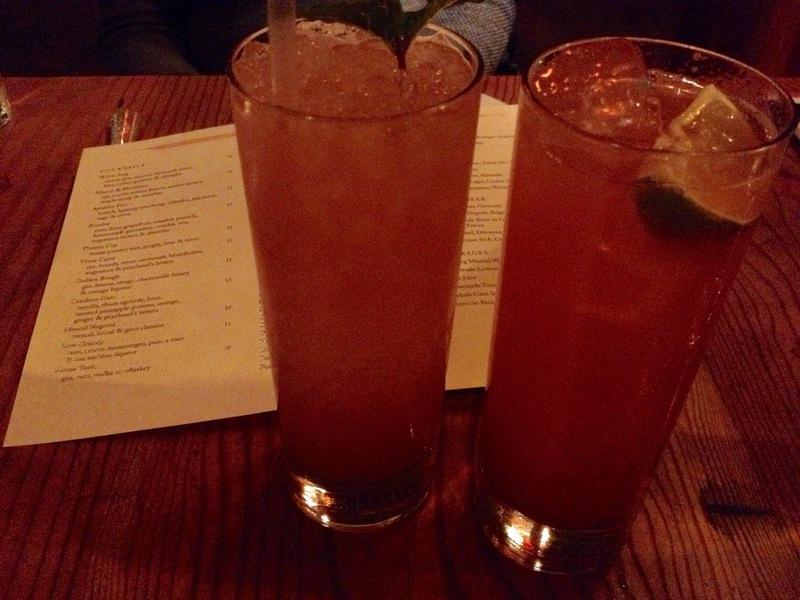 With a pretty extensive drink menu, I opted for a Pimm’s Cup to celebrate the occasion. Happy Birthday to me! Hog Island sweetwater oysters on the half shell were on the menu. 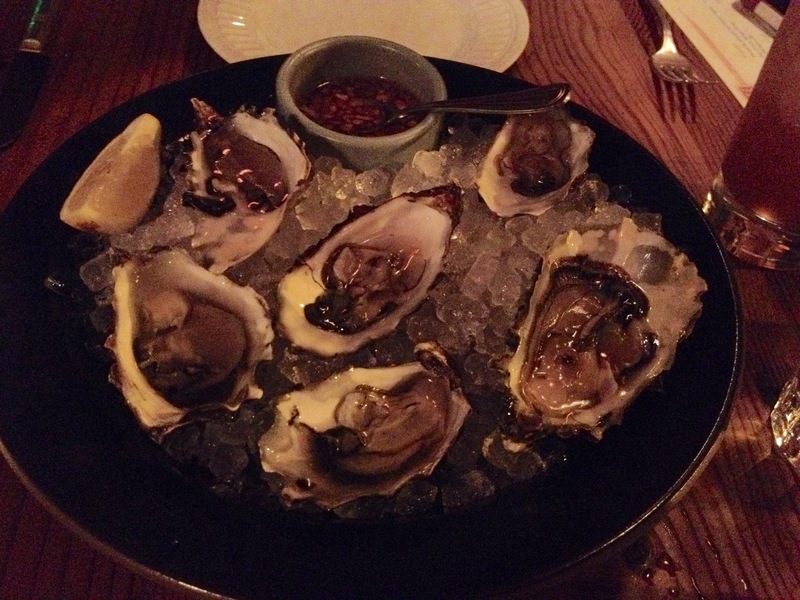 The Miyagi oysters came with a rose mignonette sauce and were really nice. 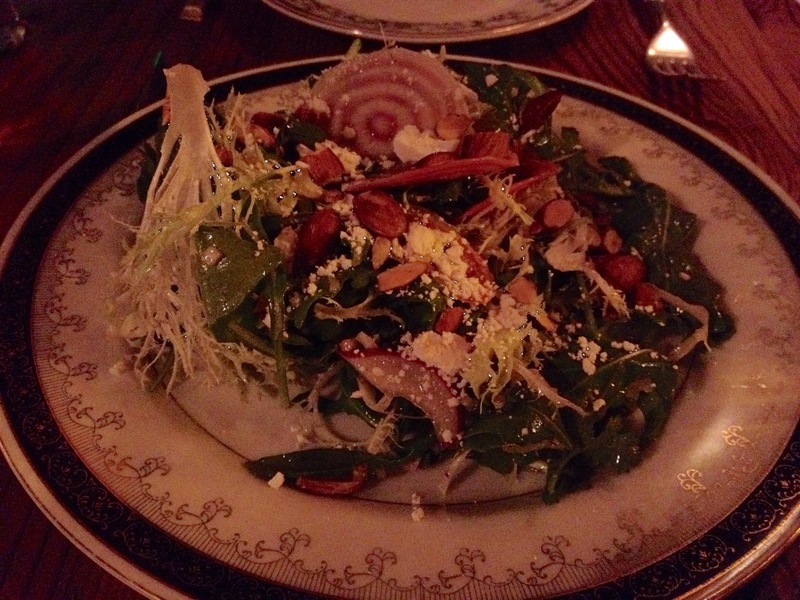 We shared a salad mix of arugula, frisée, beets, toasted almonds, and ricotta salata. It was fresh and light, simply what a salad should be. Grilled Monterey bay squid served with avocado, peppers, chili, lime, and cilantro came next. This dish had a Mexican flare. 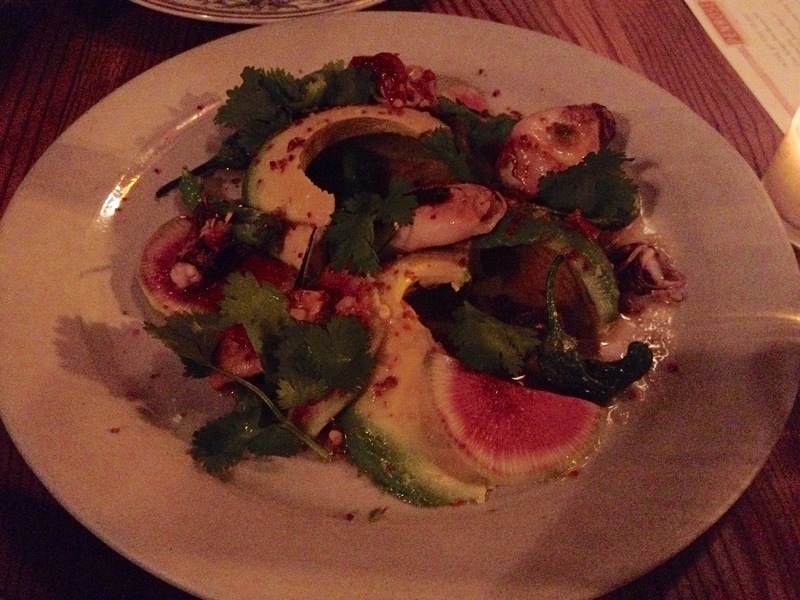 I enjoyed the flavor very much and the avocado was super smooth and delicious. 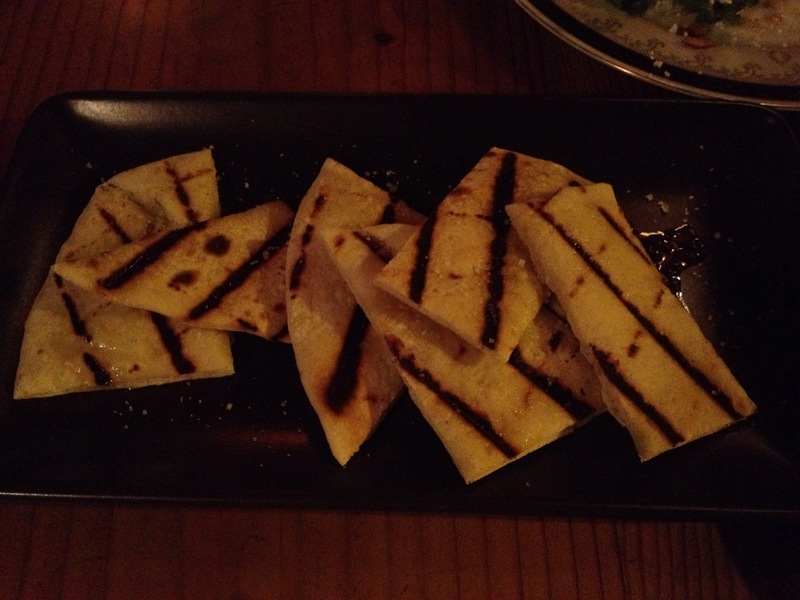 I wanted to try their flatbread so ordered the version with extra virgin olive oil and sea salt. It was actually really good. I liked the grill marks, the crisp and chewiness, and the simple flavors. 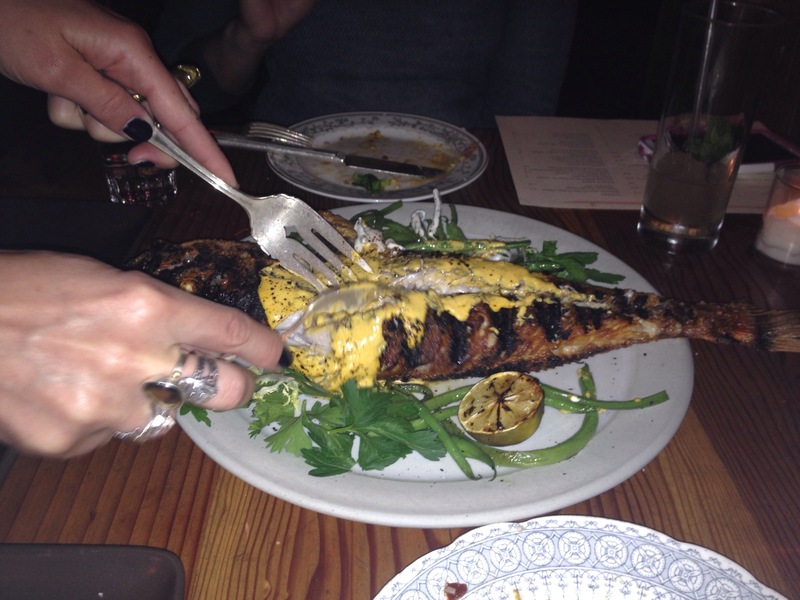 They were out of the grilled whole trout, but replaced it with a whole grilled black cod. It came with a yellow pepper yogurt sauce and green beans. It was quite tasty. 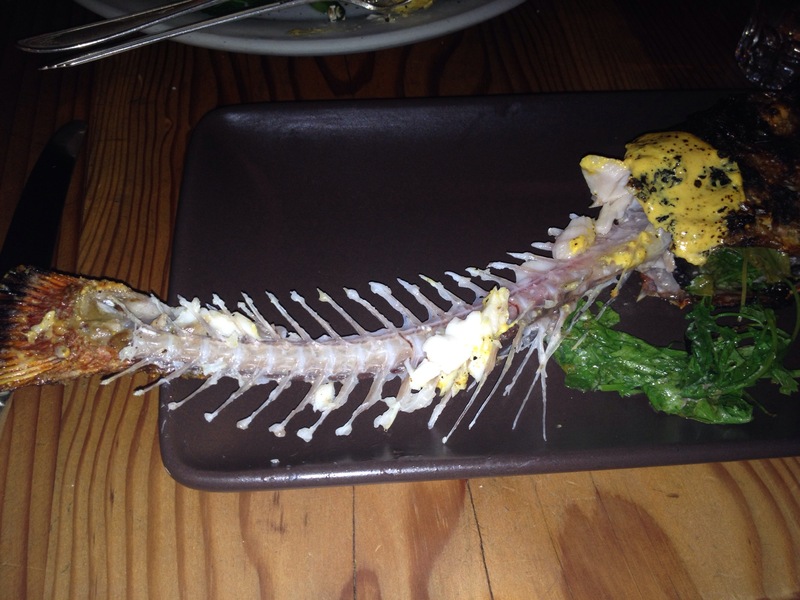 I really enjoy the concept of eating whole fish. Our waitress helped debone it and did a wonderful job. After careful consideration, we ordered two desserts. 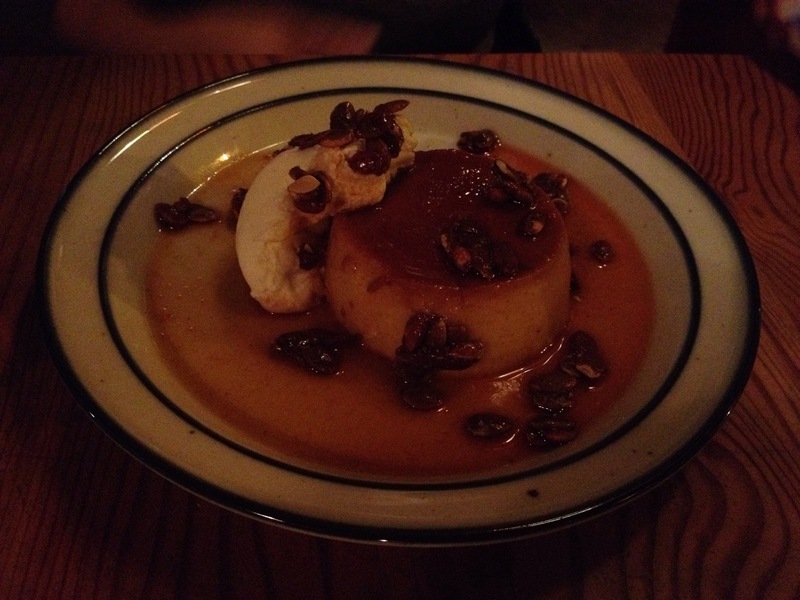 My best friend wanted the sugar pie pumpkin flan with smoky pimenton candied pepitas. This seasonal flan was smooth and delicious. I only had a bite because I was so full. 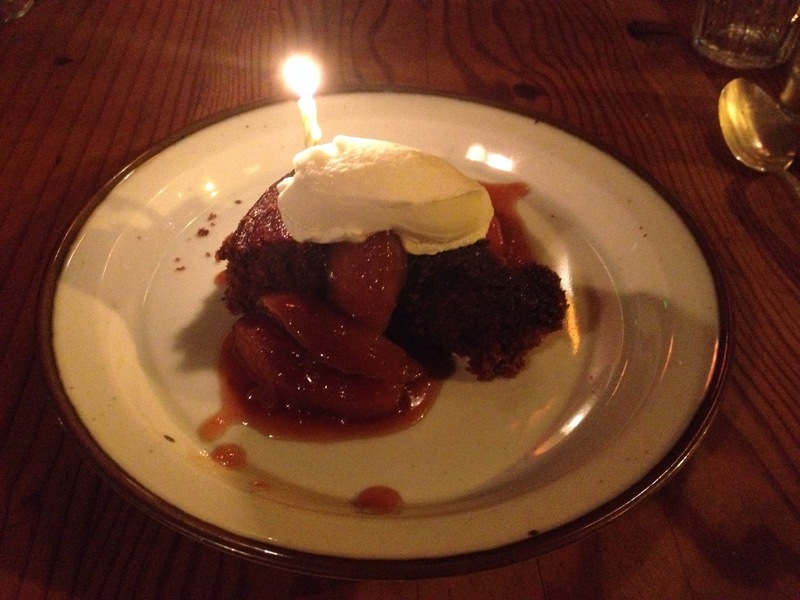 I love ginger and ordered the ginger molasses cake with roasted apples & crème fraîche. It was dynamic! The cake was deliciously moist, the apples were a nice compliment, and the creme added that sweetness that goes so well. It was an awesome birthday meal! Thanks, Jwo!